Yes, you read that correctly. The Chevy Volt, GM’s hybrid electric darling, hasn’t even rolled off production lines yet and already the automaker is planning an all-electric version. The hybrid Volt is expected to be released this fall for $40,000. As recently as this June, it was rumored that the Volt might not make it into production because of myriad problems–not the least of which involved GM reporting losses of $1.2 billion. But that didn’t stop Vice Chairman Bob Lutz from declaring at this week’s Detroit Auto Show that it would be “technologically trivial” to make an all-electric Volt now that the hybrid version is on track. How easy is it, exactly? “You just leave some parts out,” according to Lutz. 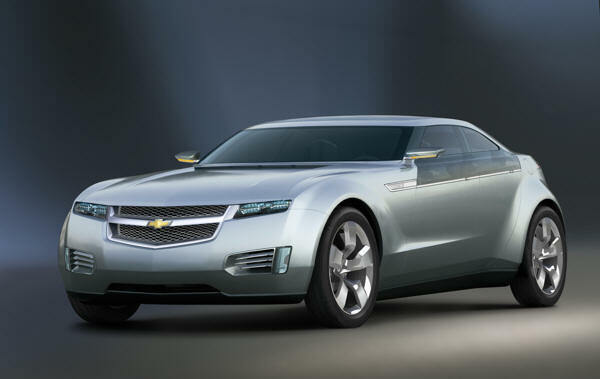 We’re guessing it’s a little more difficult than that since GM has yet to announce a release date for an electric Volt. And let’s not forget that the company was chastised less than a year ago by the Presidential Task Force on the Auto Industry for being a whole generation behind Toyota on green powertrain development. Lutz even admitted this week that the hybrid Volt sometimes goes just 28 miles in all-electric mode before petering out in cold weather. So while it may be technologically trivial to make an all-electric Volt, GM might have some range issues to work out if it wants to actually release it.